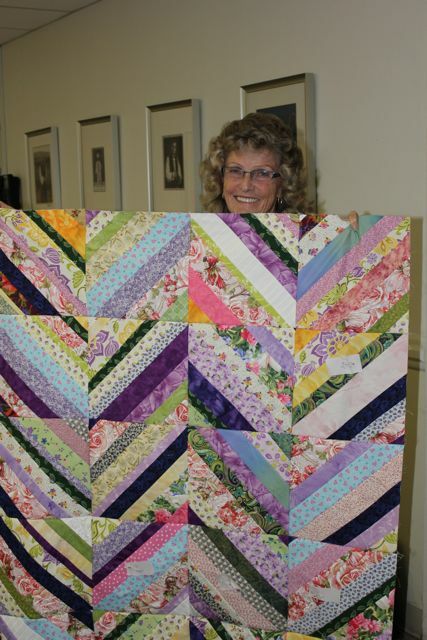 “If you’ve ever seen, or had the opportunity to see, someone receive one of these quilts, it brings tears to your eyes,” said Project Linus volunteer Linda Lemos at a group sewing event in late October. 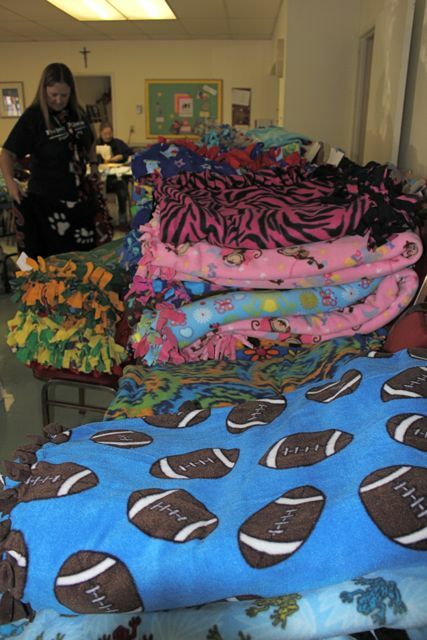 All of the of the blankets are lovingly handmade by “Blanketeers”, volunteers who give of their time, expertise, and fabric stashes, although the chapter gladly accepts donations of materials and money to underwrite the efforts. 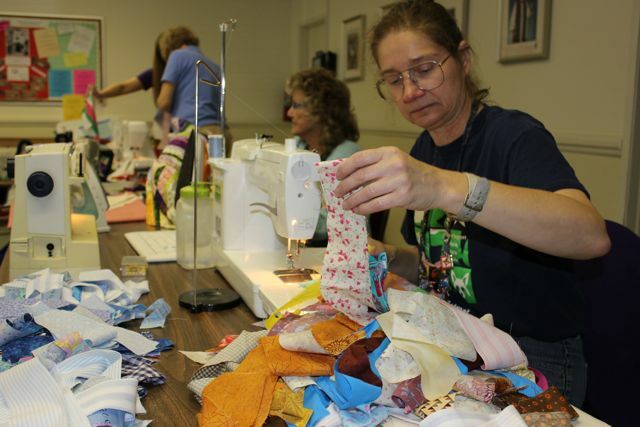 At the October event, a couple of dozen volunteers were busily working away at sewing machines, putting together quilt tops made of strips of scrap fabric. Most of the time the blankets are created by blanketeers in their own homes. Finished blankets are accepted at one of 13 locations in Santa Clara County, including fabric stores, yarn shops, and members’ homes. “You don’t have to be a sewer to contribute,” said another volunteer, Marilyn Nickel. Besides quilts, blankets include knitted or crotched creations, or blankets made of cut and tied fleece fabric. 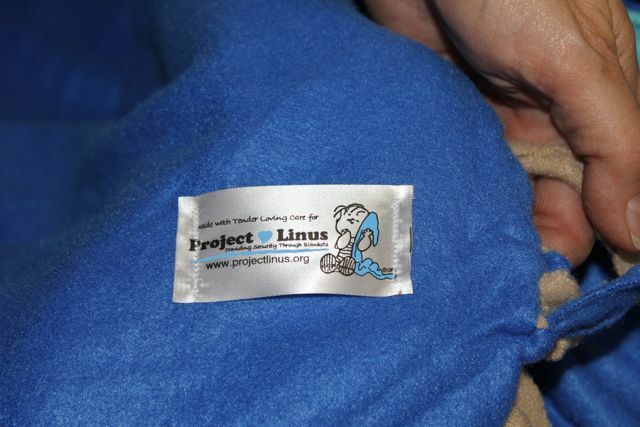 The Project Linus website includes detailed specifications for anyone who wants to create and donate a blanket. 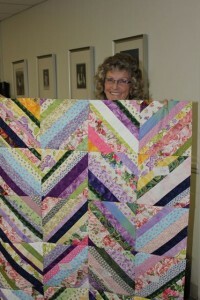 Nickel is a quilter whose quilts were starting to stack up around her home before she started donating to Project Linus in 2003. 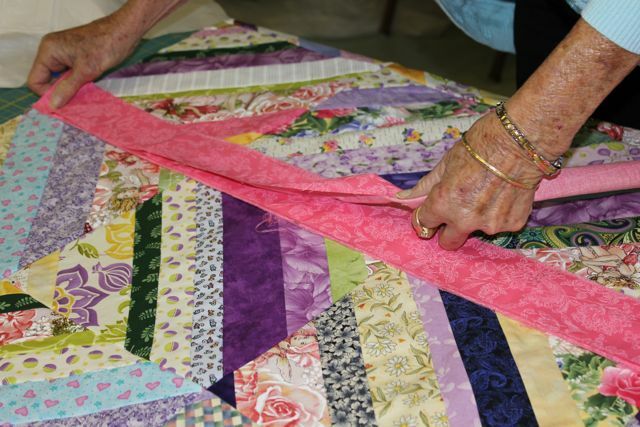 By donating she gets to enjoy every quilt before she gives it away, and knowing it’s going to warm a child in need gives her a good feeling, she said. 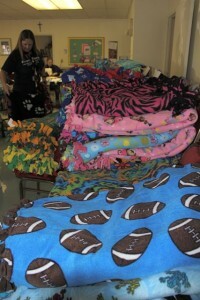 Nearly 250 blanketeers and groups—including scouting troops, schools, sewing circles, church groups, and other volunteer groups—have made blankets for Project Linus in 2012 alone. “It puts a smile inside you,” said Lemos. The South Bay Chapter of Project Linus is always in need of donations. See the website for the group’s wishlist, which includes gift cards to fabric stores or any store where blanket-making supplies are sold, fabric (see specifications), and money to buy batting and other necessary supplies. 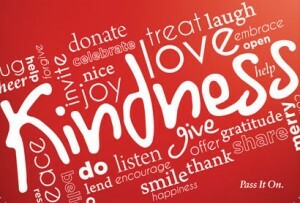 When donating money online, specify “San Jose, CA. 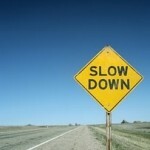 Chapter”. 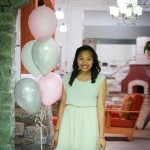 Eighth Grader Making Birthday Wishes Come True For Less Fortunate ..
Every child has a birthday wish. But some children from poor or ..
What a great way to start my morning, reading about these wonderful people!